As some of you know, I not only love to cook and invent new flavor combinations, I also love to spend time creating artwork in colored pencil (CP) and pen and ink. At this time, I am fine-tuning my cat portrait skills and will happily make a portrait of your favorite cat's picture for a very nominal charge. 7x10 with a single mat - $125 plus shipping/handling. 7x10, unmatted - $25 plus shipping/handling. 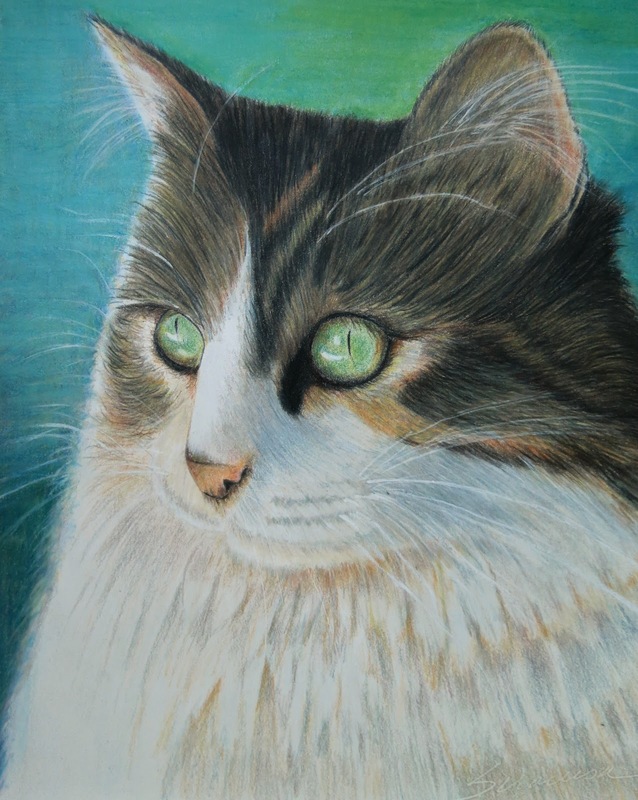 Send inquires to : dianesdianes@hotmail.com and include 'cat portrait' in subject line.